Donald Joseph Mayol passed away peacefully after a short illness at the age of 84 on August 9, 2017. Don was born in New Orleans, Louisiana on March 25, 1933, the son of Joseph John Mayol and Myrtle Lee McCloskey and sister to Carol Lee Mayol (Andersen). He spent his youth in Chicago, Illinois and Oakland, California. Always, with an eye towards business, he set bowling pins in Chicago, parked cars, sold men's clothes, delivered dry cleaning and milk growing up in Oakland. He graduated in 1954 from Armstrong Business College in Berkeley, California. It was there he met Lois Myrle Amerine of Martinez, California. Upon meeting her he immediately knew and proclaimed that he would marry that girl, which he did in 1953 after a whirlwind 9 month courtship. Don and Lois celebrated their 64th anniversary on June 14, 2017. Don joined the United States Navy reserve in 1951 and was drafted into the United States Army in 1954, continuing in the Army Reserve until being honorably discharged in 1956. He was stationed in Hioshi, Japan. While in the Far East, he was initiated in to the "Mystic Order of the Golden Dragon." Among other honors, he and his fellow brigade members were officially recognized as "chit signers, squaw men, smokers, ice men, Sad Sacks, Foam Blowers, Gold Bricks and all-around Landlubbers." Don was drafted when his first son, John Wesley, was just 6 weeks old. Lois held down the fort with the help of Don's parents and her own parents, Hugh and Vivienne Amerine. Their family grew with the birth of a second son, James Donald in 1957 and, in 1959, the daughter they always wanted, Jennifer Lee was born. Soon Don began his venture into the packaging business where he quickly rose in sales and management positions for various companies. The family moved to Modesto in 1959, where he was the youngest General Manager in the Weyerhaeuser company. In Modesto, Don was charged with building the Weyerhaeuser plant, which was instrumental in converting much of the agricultural packaging in the valley from wooden to corrugated containers. In 1973, being honored with a promotion to corporate executive and a mandatory move to the east coast, he rejected the corporate life and founded Pacific Southwest Container (PSC) with his former partner Roger Houck. What started with a second mortgage, a couple of loans and promises of business from best friends and the labor of a small and grossly underpaid teenage workforce, the smallest of businesses rapidly expanded into one of the largest privately held packaging business in the United States. In 1999, Don was awarded Entrepreneur of the Year by Cal State Stanislaus. He also was a founder of Pacific Valley National Bank, Chairman Emeritus of the Modesto Division of the Salvation Army and Chairman Emeritus of PSC and founder of TriCorr, Inc. Don and Lois implemented the Donald and Lois Mayol Scholarship Fund which provides annual college scholarships to children of PSC employees. After successfully transitioning the ownership of PSC to the next generation, Don retired in 2001 and he and Lois settled in Carmel, California. In Carmel, Don and Lois joined many Modesto friends and also made many new acquaintances through their various philanthropic and social activities, including the Carmel Bach Festival, SPCA for Monterey and as founding members of Youth Orchestra Salinas. In 2017, Don and Lois were honored as Philanthropists of the year by the Monterey Arts Council. Don was a member of the Old Capital Club in Monterey, where he often mowed through dominoes opponents, pocketing several dollars from good friends! He greatly enjoyed golfing with his friends was a former member of Del Rio Country Club, Carmel Valley Ranch, MPCC and Quail Lodge Golf Club. 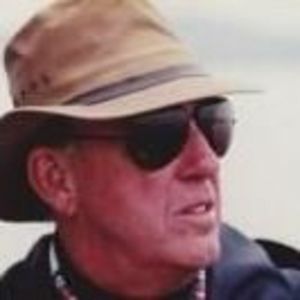 He also was a keen fly fisherman, having spent years fishing near their cabins in Bumblebee in the Stanislaus National Forest, Northstar, and Alpine Meadows, as well as traveling to Canada, Alaska and even the Italian Alps to pursue whatever fish was willing. Don is survived by his wife Lois, and faithful canine companion Brie, son John and his wife Tami (Modesto), granddaughter Taylor (San Francisco) and grandson Trenton (Los Angeles), son Jim and his wife Birgitt (Escalon), grandson Joseph (Portland, Oregon) and granddaughter Jacqueline (Eugene, Oregon) and daughter Jennifer and her significant other Michael Grossman (Novato). The family is grateful for and thanks all of the friends and caregivers who helped Don and the family through his transition to a better place; including Dr. Kubica, Cheryl, Denessa, the Brendas, Sinead, Leslie, Lucie, Marissa, Esme, Elainie, Mary, Elizabeth, Donna, Hector, Victor, Lyndall, Anthony and Patricia, Esmerelda and Chris. In lieu of flowers, the family requests that donations be made in honor of Don to SPCA for Monterey County 1002 Monterey Salinas Hwy Salinas, CA 93908 or the Carmel Bach Festival P.O. Box 575 Carmel, CA 93921. On August 26, 2017 from 12pm to 3pm, an Open House Celebration of Don's Life will be held at their residence at 7082 Valley Greens Circle, in Carmel. Please join the family as the "Saints Go Marching In!"